Yup you got that right... Damian "Jr. Gong" Marley and brother Stephen Marley @ Antones... May 3rd! 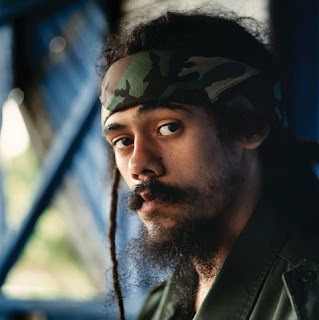 Damian Marley (born July 21, 1978 in Kingston, Jamaica), is a Grammy-winning reggae artist and is the youngest male child (or 'veteran,' as stated in the song "Me Name Jr. Gong") of reggae legend Bob Marley, and the only child born to Marley and Cindy Breakspeare, Miss World 1976. Damian's nickname is Junior Gong which is derived from his father's nickname of Tuff Gong. Damian has been performing since the age of 13. He shares with most of the Marley family a full-time career in music. Unlike his brothers and sisters, however, his musical specialty is "DeeJaying," the Jamaican style of "rapping."